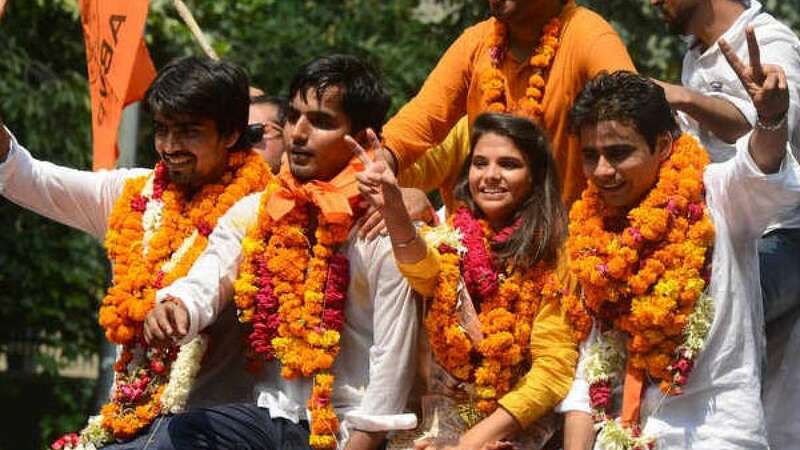 New Delhi : BJP's student wing Akhil Bharatiya Vidyarthi Parishad on Saturday bagged all four seats in Delhi University Students' Union polls. Anjali Rana won the post of Secretary and Chhattarpal Yadav was elected joint secretary. "Congratulations to ABVP & Students of Delhi University on winning the DUSU elections & making a clean sweep by winning all the four seats," Arun Jaitley tweeted.